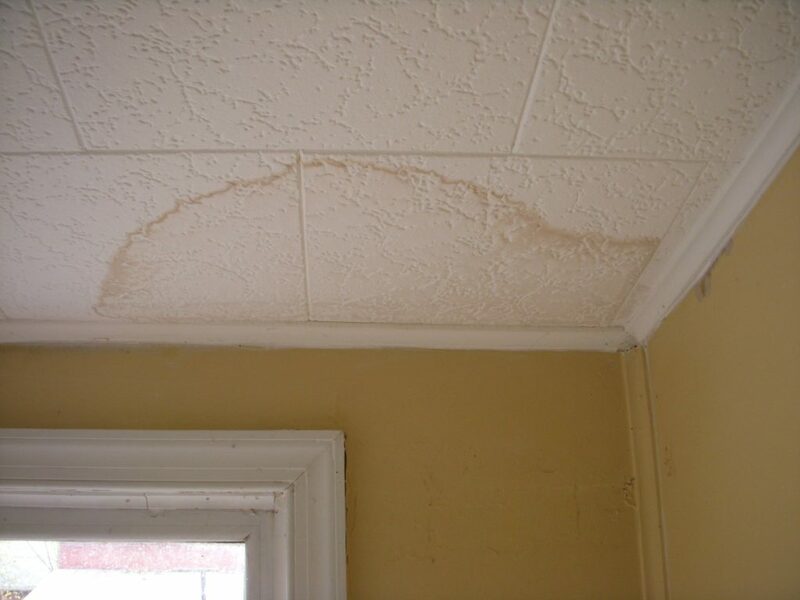 Too many times, we’ve gone out on a service call and found that the ceiling is flooding with water. Sheetrock is bulging from the ceilings, ductwork is saturated, or insulation is wet and pressed up against the sheetrock. Left over time, it can start to create mold. Water Damage Abatement teams are brought in to dry up the house in an effort to keep everyone healthy. Floor coverings need to be replaced, and more. All this can be prevented with the help of our little friend, the condensate safety switch. Your air conditioner has a hot coil outside and a cold coil inside. The cold coil inside has a fan blowing room temperature air across those cold coils. That causes condensation, which on normal occasions flows down the main condensate drain with the help of gravity, and out the side of the house where you normally see the pipe dripping with water in the summertime. That’s normal! If that primary drain pipe were to ever clog, or a family of mud wasps built a nest in that drain pipe. Heck, nothing even needs to happen for it to clog, the bacteria and gunk that builds up in ¾ inch PVC pipe is so disgusting, it will clog itself. What you don’t want to see is the secondary or emergency drain dripping with water. Where is that one located? Normally it terminates above a window around your house. Check for it around your eaves and you’ll see it. If you see water coming out of that pipe, call your favorite AC company and they’ll likely come out with compressed nitrogen and clean that line out for you. It takes quite a bit of pressure to really clean that thing out, so let’s leave it to the pros. People can really hurt themselves trying to mess with compressed gasses. Back to the drain pan. A condensate safety switch is mounted on the side of your condensate drain pan or directly to your secondary drain port on the evaporator coil. There’s a float inside the switch that will rise if the water level of the pan fills up with a certain amount of water. So, when that normally-open switch closes, the contacts energize at a low voltage and send a signal to the control board to shut down operations. The reason you should have one of these for your home is that it provides a 24-hour watchdog to make sure your overflow or emergency pan doesn’t fill up with water. I know it’s supposed to be there for overflow, but you really don’t want this thing filling up with water. Imagine that coil draining water down; trickle, trickle, trickle. Do we want that happening outside the house draining to the grass, or do we want that drip, drip, dripping down on our sheetrock on the ceiling above our heads? This happens way too often in Sacramento. And don’t think you’re off the hook because your system is in the closet or garage. If those system’s pan fills with water, then it will overflow and come down onto the control board down below as well as the blower motor. That’s an easy 1000 dollars in repairs; and a furnace that might never quite work the same. Other people have found this inexpensive item to be a real lifesaver. I’ve been selling these safety switches since I first started HVAC in 2010. People seem to like the peace of mind they get knowing there is something watching their condensate drainage in the attic, so it doesn’t come through the ceiling. If mounted properly and inspected every year for proper operation, it will last for many years. Hopefully, you never need to use it, right? Some people don’t think these will fit their HVAC system. I’m here to tell you, there is a condensate safety switch for every single evaporator coil out there. Whether your system is in the attic, closet, or garage, the potential for the primary drainage to clog and back up is almost 100%. It’s going to happen. It’s really just a matter of when. Folks who practice routine maintenance on their system have no idea what I’m talking about because they’ve never had a clog. The valve is really just another smart thing you can add on to your HVAC system that didn’t already come with it. Your HVAC technician will choose the right switch for your system, install it and wire it to the furnace control board. If you are not a licensed technician, you could really injure yourself or your property unknowingly by installing this safety switch improperly. Don’t let this happen to you. 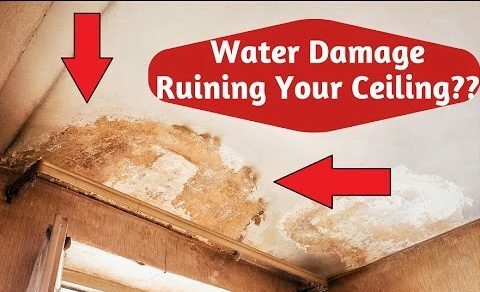 It’s expensive to repair your ceiling, let alone to match the texture on the ceiling at that particular spot. It’s a real art form to be able to do that. The switch installation is a small price to pay for sheetrock protection. Check out my video on this topic. https://youtu.be/OLmRKBqTVsk It goes over the basics of the safety switch and shows me installing one at a house. I hope this answers your questions as to what a condensate safety switch is and how it can work for you and your home. Fox Family offers a lifetime warranty on this inexpensive product. If you’d like us to come out and take care that for you, we’d be happy to. Email us or give us a call at 916-877-1577. Thanks so much and see you next week! What’s the Required Service Area for HVAC Installations?